Waist cinching comfort’s got us feeling all kinds of relaxation this year, and with a simple wrap-over front, it’s a style box ticker, too. 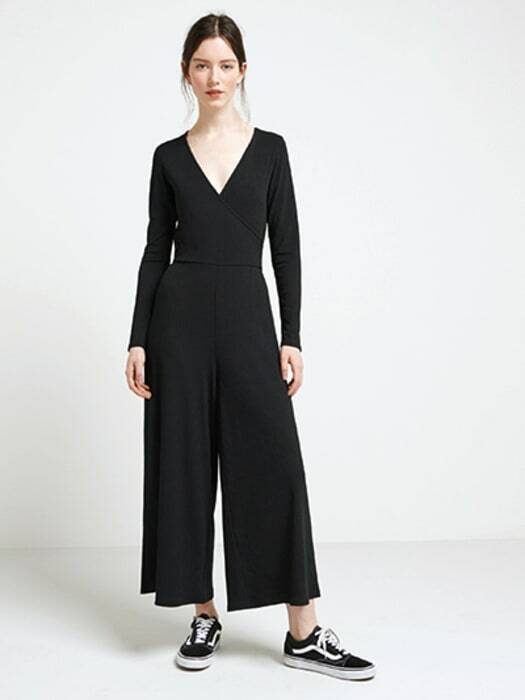 Complete with a wide leg and slim fitting sleeves. Be wise. 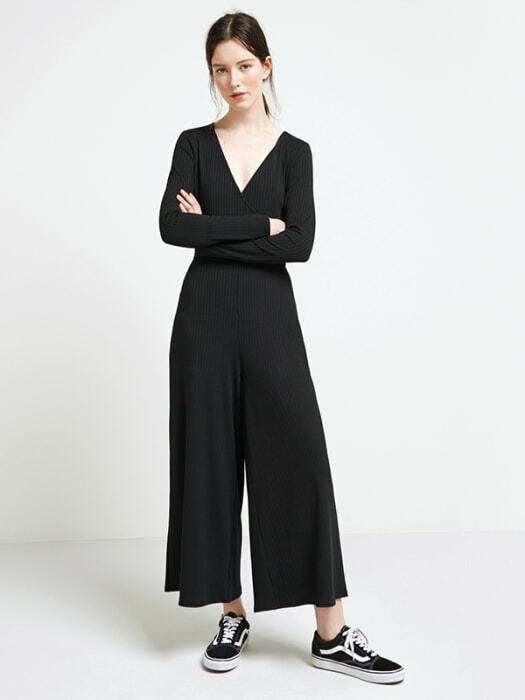 Be bold, Be the one to choose the rib wrap jumpsuit in black.